These days more and more people are into facebook chat. Instead of msn or yahoo or gtalk people are using the facebook chat because most of the people are online on the facebook instead of the other im clients. Though many of you may already have known this I would write it anyway. Facebook chat can be boring sometimes if you have one too many friends in your chat list. You might use the facebook pop out chat to open the separate window of the facebook chat. But I tell you nothing is better than using a facebook chat from your desktop. You don?t have to go all the way to your browser to open facebook and then use the facebook chat. You can minimize the program and stay online without opening the browser. I am using PIDGIN for the facebook chat these days. But you can use any other messenger program that support xmpp(Extensible Messaging and Presence Protocol). I like the pidgin as it is simple, free and easy to use. If you download normally than Pidgin downloads an appropriate version of GTK+ at the time of installation if you don?t have GTK+ installed previously. But I rather you prefer downloading the offline installation for the link below. 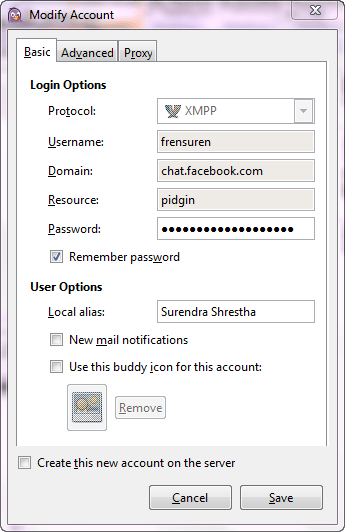 After you installed the program you need to configure the PIDGIN in order to be able to chat on facebook. Strictly follow the instruction below. This information is provided by the facebook itself. 1. Go to "Accounts" and select "Manage Account." To give you the idea this is what it looks like when filled. Click on the PIDGIN and it will show you all the settings needed. Now click on account and enable account, the one you newly created. Now you can use this program to chat with the facebook friends. If you like one messenger for all then you can add account for all other services like msn, yahoo, gtalk etc. If you like to use other programs like ichat or Adium then here are the settings. 1. Go to the iChat menu and select "Preferences." 1. Go to the Adium menu and select "Preferences." An error occurred. Please try logging in again. I couldn?t figure what was the problem. I searched through the help and faq section of the facebook. I couldn?t find my problem listed on it either. Also I was having problem viewing my friends profiles. Facebook would would prompt me for the ?add as friend? option even though the person was already on my friends list. Finally What I did to resolve my problem was deactivate my account temporarily in a thought that it might resolve whatever was wrong. And I got lucky with that. Now I am able to use my facebook chat normally. So if you are having similar problem do not hesitate to deactivate the facebook account. Then try logging in moment later. Well whatever the problem was, that surely helped me. If you are a internet enthusiast and willing to get your own domain then it?s a no big deal. Unlike other domain registration .np registration is free of cost and every body can register .np domain. I am going to explain stepwise how you can get your personal domain. First thing first, if you want to register a domain you may want to go briefly through the Terms and Conditions. Check whether the domain you want is available or not(Check Domain Availability). For personal user, use your citizenship names for the domain registration. They only let your domain registered according to your citizenship name and it?s a first come first serve basis. Visit the mercantile office. See the required documents below before visiting. A application letter written in the company/organization’s letter-head pad signed by authorized officer. NOTE:- A company/organization only can select domain names based on its company/organization’s name, product’s name, service’s name and brand name. A copy of the applicant’s citizenship certificate must be dropped to the Host master at Mercantile communications, Durbar Marg. Kathmandu in order to verify the authenticity of the applicant as only Nepalese citizens are entitled to register personal domains. Fill out the online form. There are two things you need to know before applying online form. Primary and Secondary name server. Get DNS server information from your webhost. You can apply using any name server and change it later. But keep in mind that they will take a day or more to change your server information. So its better to put the DNS server information of the server where you will be hosting your site. Get yourself a web space through webhosting company. Now the webhosting company charges a cost for that and the rates depend. But if you are not willing to pay, then there are plenty of free webhosting site that provide you free webhosting facility. Unless you want to go commercial and have large web space those free webhosting should be good enough to keep your site up and running. 000webhost is good at providing free webhosting facility. You can try others if you like. Download a nice theme from the internet for your site or make your own. If you want a blog then wordpress would be great. Now get the ftp details from your webhost. 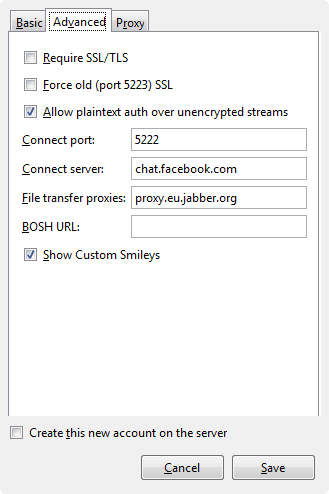 Use ftp client like filezilla or fireftp(if you are Firefox user) to connect to your server and upload your files. More FTP clients including filezilla can be found here. For more information on how to register a domain name other than .np checkout this article. Ever been in a situation when you lost your driver CD and don?t know what is your mother board model number? Well you don?t want to open up your computer and search for the model number. The best way to find about your computer hardware i.e model number manufacturer is to use this software. 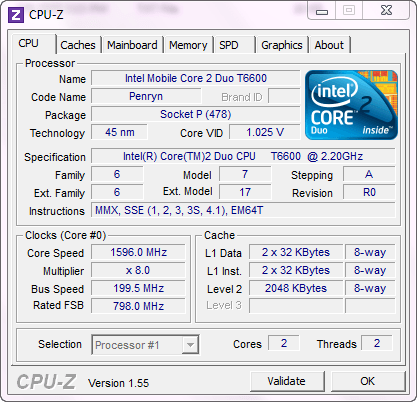 CPU-Z is a cool software I came up with to find out about computer hardware information. Just copy paste the program and execute it. It can tell all the details you need about your hardware as shown in the screenshot. After determining the model no you can search the internet for the model specific drivers. Don?t know which one to download? View the properties of your computer to find out which version of windows you have installed and download the same bit program.